What else can be said about a band that every true metal lover knows and likes so much? What a good way to salute the accomplishment of these metal heroes by trying to sum up a decade of outstanding music on two discs. 27 titles taken through numerous albums that this band has under its belt. Through these two discs, you'll be able to relive what you came to admire so much in their black magic power. 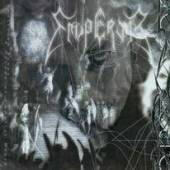 Emperor was able to combine the raw energy of the genre and bring it to a high level of sophistication through intelligent song writing and an avant-garde viewpoint of what good and mature metal should be. Candlelight has prepared for their fans and I would go as far as saying, all metal fans, an Emperor "Survival Kit." If you have to have one album from them, this is the one, always ready to go when you need it and even if you have them all, now you just need this one to satisfy your basic Emperial needs. Some of my favorite tracks included in this set are: 'The Tongue of Fire,' 'An Elegy of Icaros,' 'In the Wordless Chamber,' that can be found on the black disc. On the gray disc: 'Aerie Descent,' 'Gypsy,' 'In Longing Spirit,' all of which have some great symphonic and avant-garde sections going into their musical structure. Some live songs will give you a feeling of their true energy like on 'Thus Spake the Nightspirit.' On 'I Am' I found myself struck by a very weird type of psyche-symphonic black metal. The very last composition 'Opus A Satana' is a wonderful and grandiose neo-classical piece closing the final chapter of the Emperial Wrath. Bottom Line: A must for all who claims being a metal lover.